Just as we introduced before, the iPhone battery pack is the first external battery charger using EL film to display the charging status, so it features an amazing appearance just like an animated charging icon for iPhoneOS. iPhone Power Pack external battery charger for iPhone measures 75 x 46 x 16mm, weights 43g, and comes with a rechargeable battery with 1000mAh capacity, which can offers additional talk time up to 3 hours on 3G or up to 7 hours on 2G, Internet use up to 5.5 hours, audio playback up to 18 hours. 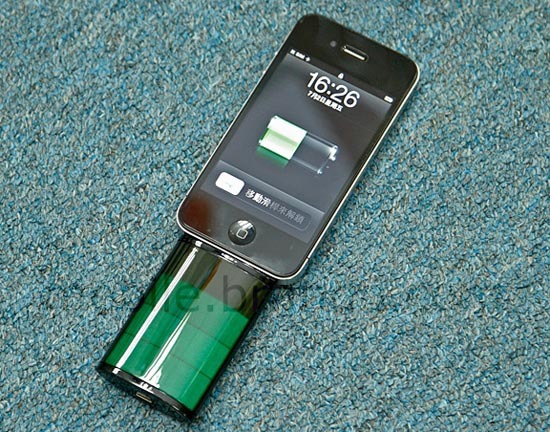 Power Pack is able to support various models of iPhone, also including the latest iPhone 4. It’s priced at $52 USD. If you’re interested, the external battery charger is available at Brando.